Aglow is a dynamic, global Kingdom movement made up of women and men with a single purpose: to see God's will be done on earth as it is in Heaven. Aglow is one of the networks that God has built and established in the earth to accomplish His purposes in the end times. The real strength of this network is its breadth -- displaying His power, dominion, and authority in 170 nations. We know how to stand against the shifting, changing times, speak into the atmosphere and align earth with Heaven's purposes. That is the power of who we are. Jervae Brooks, Executive Director of our International Field Office, shares about Aglow's presence around the world using the World Map at the Aglow International Headquarters. Aglow is, by nature, dynamic and global. Meetings vary from nation to nation in order to meet the cultural and geographic needs of individuals in locations as diverse as the people themselves! Large groups gather to worship, and listen to guest speakers; smaller groups (from 3-10) meet, forming prayer groups, Bible studies, or care groups. Those with a heart for outreach form groups to help meet community needs such as visiting nursing homes and orphanages, tutoring at schools and participating in food programs. Up close and personal: that’s a good way to describe Aglow Bible studies. A small group meets together regularly to study the Bible and share issues and questions that touch hearts. Bible studies are an especially good place for new Christians to come together with other believers to explore God’s Word and put the timeless truths into action in their own personal lives. As Aglow has grown, more groups have formed around special areas of ministry such as prison ministry, ministry within local churches, outreach within neighborhoods, and teen or youth ministry. More than 100 nations are represented at our global conferences.Around the world, Aglow conferences have become times of visitations from the Lord, individually and corporately. It is during these times that Aglow women and men catch vision from leaders, and become equipped to return as servant leaders in their communities. Through the years, national conferences have been held in more than 50 nations. Recently, in response to a growing desire among members to widen their sphere beyond national borders, Aglow has encompassed a wider sphere. Aglow’s regional conferences have drawn believers from several nations, to further strengthen the bonds among Christ-followers. For more than two decades, worldwide conferences (held in the U.S. on odd-numbered years), bring thousands of Aglow members together. 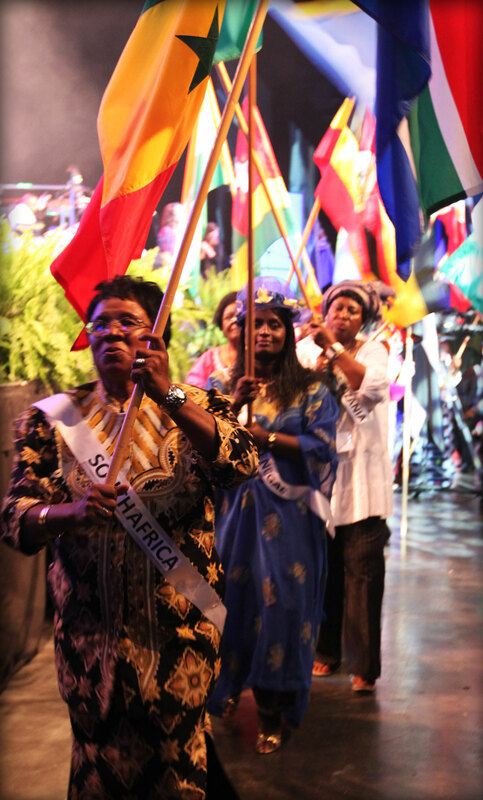 One highlight of the gathering is the opening session’s flag parade where leaders from more than 100 nations joyously celebrate their faith, and life in the Spirit.